The Flash has a long history of enlisting big name stars to voice its speedster villains. In previous seasons, horror icons like Tony Todd and Tobin Bell have portrayed Zoom and Savitar, respectively. 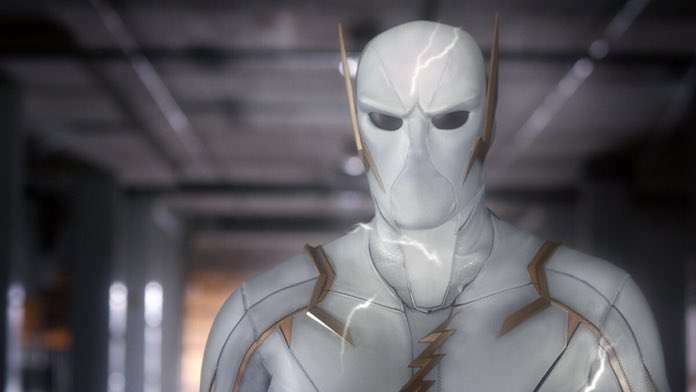 Last night’s episode of season 5 introduced a new evil speedster, Godspeed, and once again, the show found another recognizable voice to play him: Jurassic World and Gotham actor B.D. Wong. Apart from his most famous role as the crooked scientist Dr. Henry Wu, a role he played in the original Jurassic Park before reprising it in the two recent World movies, superhero TV fans will also know Wong as, well, another crooked scientist over on the aforementioned Gotham. The actor has portrayed Dr. Hugo Strange on the Batman prequel since season 2 and all in all, he’s a strong choice to bring Godspeed to life and did a great job in yesterday’s installment. 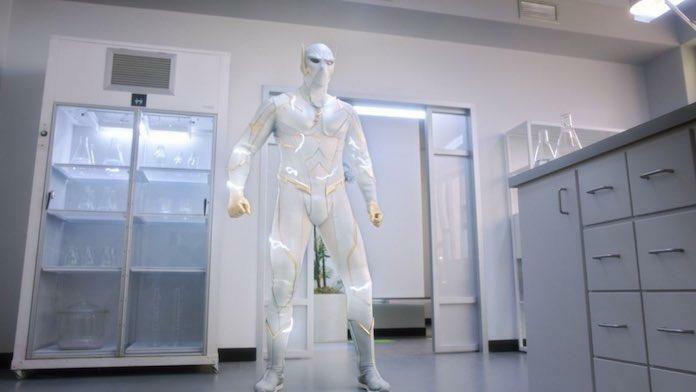 As well as nailing the voice, the TV series also perfectly replicated the character’s white and gold costume from the comics, too. Though he was visually a close match to the source material, the backstory of the super-criminal was very different. On the page, Godspeed is Barry’s work colleague who goes off the deep end when he obtains super-speed. On the show, he got his powers from the Velocity-9 formula and was obsessed with finding a way to retain his speed permanently. The episode also pitched him as a nemesis to Nora West-Allen/XS instead of her father. Via flashbacks – or maybe flash-forwards? – we learned that Godspeed was the first foe Nora faced once she discovered her powers and is responsible for the death of her best friend Lia. To defeat him, she goes to Reverse-Flash for advice, which starts the chain of events that leads to her returning to the present day in season 4. As he’s so important in the DC Rebirth comics, we doubt we’ve seen the last of Godspeed – or heard the last of B.D. Wong in the role – on the show, and we’re excited for him to appear again as The Flash season 5 continues Tuesdays on The CW.